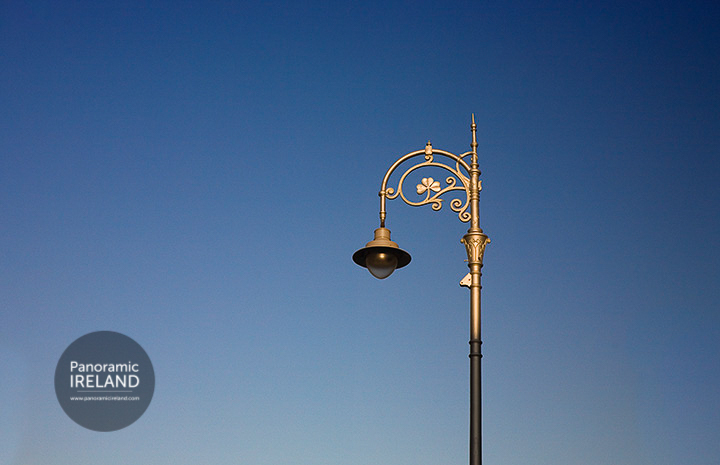 One-to-one and small group photography tours and workshops in Dublin and across Ireland. Guidance, tuition and critique on your images and workflow before, during and after your tour or workshop. Learn to make better images, learn new techniques and enjoy the challenge with our one-to-one photography workshops. From the chief city on the island to the charming mediaeval gem that is Kilkenny City to the stunning geological landscapes of Northern Ireland's Antrim Coast or the lesser visited South Armagh. Contact Panoramic Ireland today to arrange a personalised tour and photography workshop anywhere in Ireland. What is a photo tour and is it different to a photography workshop? This is a question we get asked a lot. There is no real difference but simply, a tour is more focused on seeing the place with a photographic emphasis while a workshop is specifically designed to concentrate on one or more aspects of your photographic technique, equipment or composition. Both tour and workshop are interchangeable and there is a degree of overlap. Because we tailor each tour to suit your needs, we choose the appropriate locations and times to maximise your time in Ireland and help you to improve your photography. If you would like to know more about our photography workshops in Ireland please contact us here and join an Irish photographer for a day in your favourite part of Ireland. Don't forget that we offer Gift Vouchers for Christmas and all year round for birthdays and other occasions. A photography gift voucher entitles the holder to the same benefits as a direct booking: one-to-one photography tuition, a choice of locations in Dublin, Wicklow and the rest of Ireland, morning or evening photography workshops, follow-on advice and critique on images. To buy a Panoramic Ireland Photography Gift Voucher for a friend, relation or even for yourself please follow this link or Contact Us. 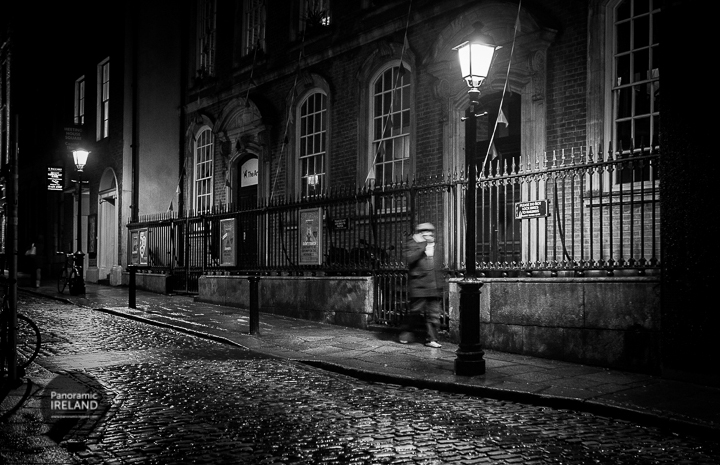 Find out more about our Dublin Photo Tours here, for our Northern Ireland photo tours click here and Galway and rest of Ireland you can find out more here. What makes Ireland so special? Perhaps it is the landscapes, the history, the people or a combination of all of these that bring 7 million visitors every year to this little island. Dublin is the capital of Ireland and the chief city on the island, Belfast is the second largest, and the chief city of Northern Ireland. The island has two currencies and two governments but there no border controls between the north and south; indeed it is quite easy to drive from one side to the other without knowing it. It is true, in Ireland it rains a bit (isn't that why it's so green?) but don't let that put you off because it doesn't rain as much as you think. With some good luck there will be fine weather during your visit. The best months to visit are April, May, June and September. The days are long, the weather is often perfect and it isn't high season. Is there any better place to be than driving along a country road somewhere in Ireland on a warm, sunny day? Ireland makes a perfect location to improve your photography or to enhance your image collection. Contact us today to learn more about our bespoke tour options. Dublin - home to Guinness, Croke Park and The Book of Kells; you can't miss Dublin, a city that has improved over the past 10 years. Wicklow - mountainous and empty yet less than an hour from Dublin, Wicklow is home to the most famous hermitage in Ireland at Glendalough. Dingle - the furthest west that you can get in Ireland, and a peninsula that has as more pubs than you could ever visit. Visually stunning. The Burren - a unique geological landscape, The Burren is home to arctic, alpine and mediterranean plants. Connemara - rugged and wild, full of bogs, sea and sky as well as a few ponies of distinction. Donegal - the most northerly county in Ireland, the Atlantic coastline is second to none in Ireland with the sea cliffs of Slieve League and miles-long sandy beaches. Belfast & the Antrim Coast - the land of my youth, how things have changed in 'The North' and for the better. The stunning landscapes are now easy for all to see. Have a look at the blog section of the site for more stories, events and information on the places mentioned here. Enjoy the site, we hope you learn something and when you come to visit us here in Ireland/ Why not book a photography tour with us, learn something about the real Ireland and learn how to make better images. International travel photographer and Irishman in search of the best bits of Ireland. Leading photography tours and experiences in Ireland. Freelance photographer for New York Times. Ask me about Ireland or about photography in Ireland. The coast of Ireland is perfect for landscape or seascape photography, and perfect for relaxation too. Here, a stormy Atlantic sunset over County Kerry's Blasket Islands makes you just want to stop and watch. Which is what we did on a photo tour to Ireland's most westerly peninsula, Dingle. 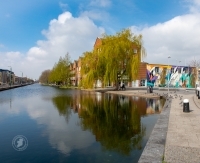 For over 10 years now Panoramic Ireland's famous Dublin Photo Tours have been taking locals and visitors alike around Dublin's famous and not so famous sights. Yesterday was no exception with RM in from Austin, Texas. We headed off in the afternoon to explore some of the city's interesting places. The weather was fine, and it was my first full tour after having had chemotherapy for cancer last week so I wasn't sure what to expect from my own ability. Landscape photography is an interesting pursuit, sometimes you end up with blue skies and sunny conditions and sometimes the moody, dramatic image as seen here. Weather does play a factor, here we had the drama of an Irish sky, a little bit of blue but mostly diffuse light and really quite suitable to the subject matter in this case. Rugged, blocky rocks and a waterfall that cascades into the sea - in fact it's the Atlantic Ocean crashing here upon the shore. Storm waves break on the basalt columns of Northern Ireland's famous Giant's Causeway. From a recent photography workshop to one of the planet's finest stretches of coastline - the Antrim Coast. On this workshop, L.L. from California, wanted to visit the famous rock formations believed in legend to have been created by a famous Irish giant named Finn McCool or Fionn Mac Cumhaill.